Deanna L. Meeker, 80, of Saint Marys, died on her 80th birthday, January 30, 2019, at Vancrest of Saint Marys Nursing Home. She was born January 30, 1939, in Saint Marys, the daughter of Allen and Wilhelmina (Dicke) Dammeyer. She married Robert Meeker, Jr. on April 28, 1962; he preceded her in death on November 29, 1999. She is survived by her children: Robert (Holly) Meeker III, of Saint Marys; Marsha (Greg) Landers of Spencerville; Scott Meeker of Saint Marys. She is survived by her 7 grandchildren; 4 step-grandchildren; 1 great-grandchild; 6 step-great-grandchildren; 1 step-great-great-grandchild. She is survived by her siblings: Jim (Kathy) Dammeyer of Erie, PA; Jane (Bill) Nuss of Saint Marys; by her sisters and brothers-in-law: Tom (Jan) Meeker of Eufala, Oklahoma; Lois Lee of Lima; Eileen Carpenter of Bradenton, Florida; by numerous nieces and nephews. Deanna was a 1957 graduate of Saint Marys Memorial High School. She retired from Saint Marys City Schools, where she served as a cook for many years. 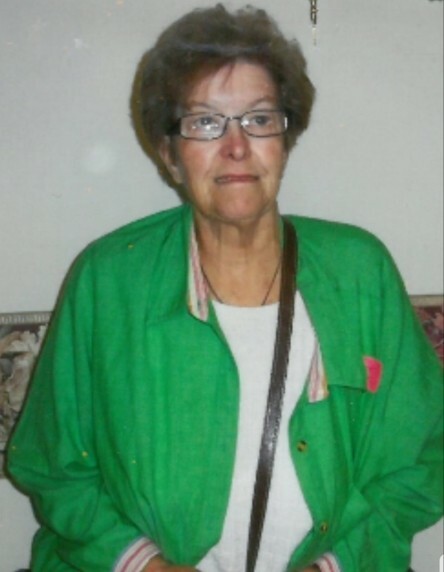 She was a lifelong member of Saint Paul’s United Church of Christ, Saint Marys, where she had been very active on many committees, including, for many years, the funeral dinner committee. She and her late husband, Bob, loved to travel, camp, and play cards with their many friends and family. Funeral rites will be held 10:30 A.M. Saturday, February 9, 2019, at Saint Paul’s United Church of Christ, Reverend Doug Williamson, officiant. Burial will follow at Resthaven Memory Gardens. Friends may call from 3-8 P.M. Friday at the Miller Funeral Home, 1605 Celina Road, where memorial gifts may be given to St. Ritas Hospice or St. Paul’s United Church of Christ Elevator Fund.